Upgraded my key chain last night. I got an 8 GB flash drive for Christmas last year and I was using it rarely. 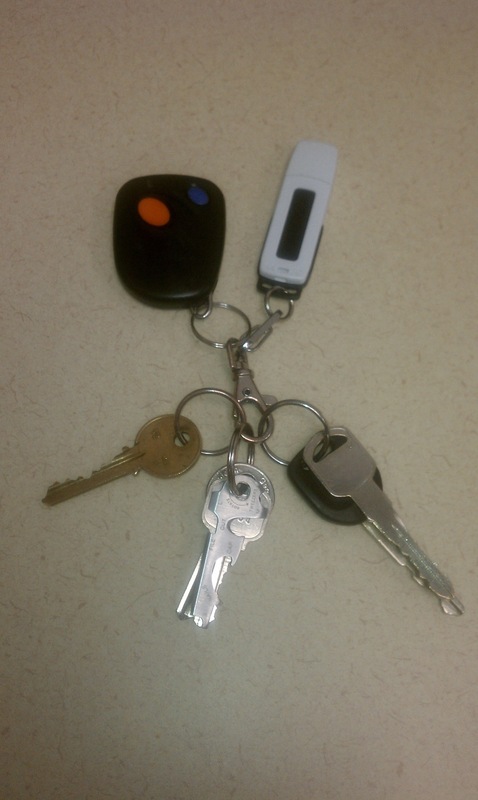 Stealing the idea from my brother I decided to move the flash drive to my key chain. I am loading the drive with portable apps and for general storage use. If you are a manager of developers you must set them up to succeed. There are three things that developers need when starting a project. This project could be in the middle of development or could be starting tomorrow. Technical Lead. If there is an existing code base then this person is essential. Without having some direction new developers can be lost in a sea of abstraction and new technologies. Proper Expectations. This is going to change on experience and how the first couple weeks unravel. Is the new developer really getting it or do they need some extra attention or some training? When bringing in new developers or moving existing developers to a new project make sure they have what they need to succeed. By providing essential tools and support will allow your developers to be productive, happy, and create awesome. I enjoy feedback and conversation when I am writing. By getting different viewpoints your thoughts and ideas can be enhanced, changed, or reinforced in a beneficial way. After using and enjoying Tumblr for a few months I realized that they don’t support comments or have many advanced features that WordPress has. So, I decided to switch to WordPress for my public blogging needs. For a public blog I believe WordPress is far superior, however, for a personal journal or anything where feedback is not really needed I like the simple interface of Tumblr. I will continue to use Tumblr for my monthly career journal and most likely any other personal writing needs in the future. Knowing your weaknesses is a good thing, a very good thing. If you recently had a job interview you should have already considered your weak points and if you are getting ready for an interview it is a MUST. Weaknesses will change with your job description. If you don’t know a lick of PHP that should not hurt if you are applying for a Ruby.On.Rails position, but you might need to know bash if your are going to be a System Administrator. There are weaknesses that will have an affect across the board. Verbal communication and writing are great examples that can’t hurt in almost any field. You need to stay aware of the evolution of your skills and job description and constantly reevaluate them. Having a recurring assessment of your weaknesses will allow you keep improving over time. By concentrating on the skills that are most needed and need the most work will allow you to build these skills like an RPG character. Don’t want people wasting time?